There are bank accounts specifically designed for funds raised through charities or non profit organisations. Charity savings accounts can actually increase funds through added interest and investors can obtain free account management advice. Having a separate fundraising bank account is a good option and many banks do have their own charities and fundraising division. Fundraisers can have their own account eliminating the need for employees or volunteers to hold any cash. These fundraising accounts are also ideal for companies that raise funds for charities and other worthwhile causes. Account holders can decide which charities they wish to benefit and the funds are kept separate from the usual business activity accounts. Charity banking organisations can also advise on Fundraising Initiatives and ways to boost funds. Many charity banks are committed to investing ethically, which means their investors and borrowers are concerned with social responsibility. It can be difficult to find banks that have the same ethical thinking as the fundraisers, but they do exist. Organisations such as the Charity Bank and the Charities Aid Foundation (CAF) may be ideal for fundraisers who are looking for a responsibly minded banking institution. The bottom line is an inexpensive account with low fees, and these specific organisations should be able to help meet those needs. The CAF does have its own specific fundraising account. Money banked with a fundraising account can be sent directly to a nominated charity. If more than one charity is being supported, a percentage split can be agreed and processed through the bank. Funds may also be eligible for Gift Aid and this can also be processed through the fundraising account. There may be fees for processing any of these services depending on the bank. Fundraisers should obtain a quote list of transaction fees from different account providers to ensure they receive the lowest transaction fees. Another useful service through the charity accounts is the ability to receive Online Donations. Members of the public can make donations specifically towards a fundraising event online. 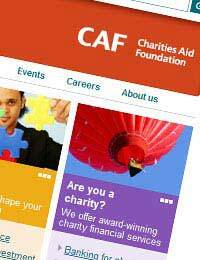 Fundraisers can advertise their events on websites such as the Charities Trust to gain wider exposure and more sponsors. Once the event has finished the event page will be shut down. This is one of the easiest ways to publicise an event and take in donations from the public that will then be sent directly to the nominated charity. The interest rates applied to charity savings or deposit accounts can mean that the actual bank is donating to the cause. The higher the interest rates applied to savings the more the bank will be donating. Keep in mind that some banks will have stipulations, such as a minimum balance in order to receive preferential interest rates. Fundraisers should shop around to gain the best interest rates, and there are high interest accounts available for non profit organisations. Charity bank accounts are an excellent way to get the most from a fundraising event or multiple events. These accounts are beneficial not only to fundraisers but to companies and individuals who regularly donate to good causes. The interest rates are competitive and the advice and information that can be obtained will be invaluable. Fundraisers should make themselves aware of all of the terms and conditions applied to any account they open for their fundraising activities.